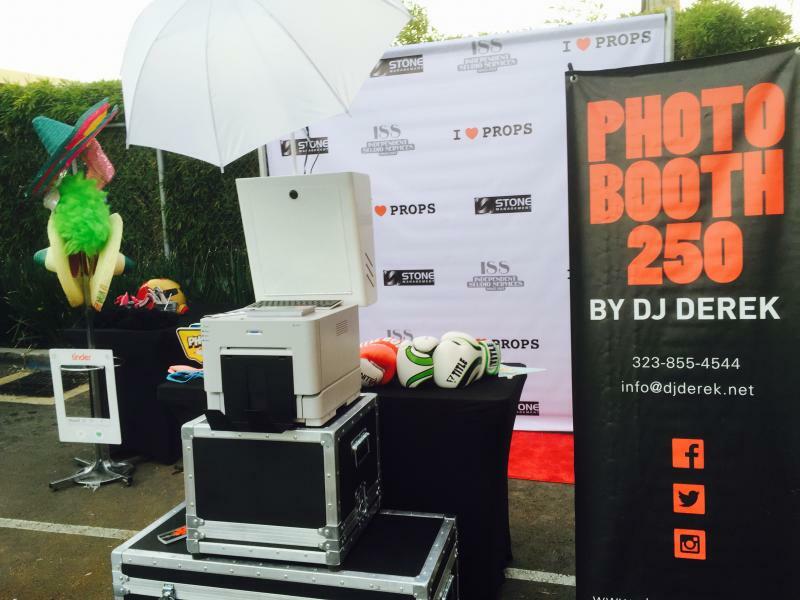 PHOTO BOOTHS are the new craze at weddings and corporate events. Most services charge as much as $2500 per event. I started getting a lot of requests for photo booths at parties that lasted only an hour. So I started PHOTO BOOTH 250. 1 hour of PHOTO BOOTH for $300. DSLR camera for quality shots. EACH ADDITIONAL HOUR IS $250. Props are inside the booth for those quick changes and to save space. Ideal for Bars and Restaurants as we have a small footprint of just 5 X 7 feet. 8x8 BRANDED step and repeat banner ADD ON is just $175 (must order 1 week in advance). 8x8 BRANDED Step & Repeat banner is just $165 more. (Must order 1 week in advance). Decorate your photos with stickers and turn them into BUTTONS at your party!!! Doing a company party or school fundraiser. Send us your Logo 3 days in advanced and we'll add it for FREE.